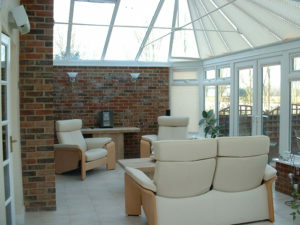 When compared to the inconvenience, ‘red-tape’, time scales & expense of building a full house extension, then adding an orangery can be less time consuming with less bureaucracy and add just as much extra space & value to your property – and in many cases will be far more visually attractive than adding a ‘brick box’ to the back or side of your house. There are some amazing examples of Orangeries in the UK, but each one can be personally designed to suit your taste in terms of size, & appearance, however, the use of pillars & lantern roofing gives them a recognisable styling of their own. It must be said, however, that building an orangery is not quite a simple as adding a small upvc lean-to conservatory, you will need to consult with a properly certified conservatory design & installation company. As for some larger orangeries, you may need to get planning permission to build it – many companies offer an A-Z service covering all aspects of the process so it can all be done with the minimum of fuss.